Christmas simply wouldn’t be the same without the magic of song, and a visit from old Saint Nick himself! 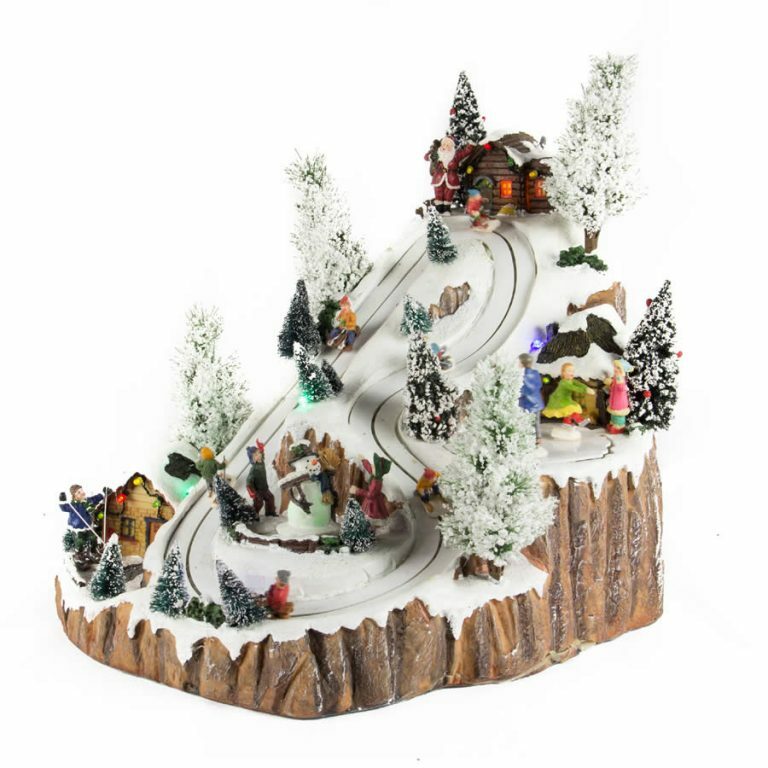 This enchanting poly-resin figurine encompasses both of these popular holiday favourites. 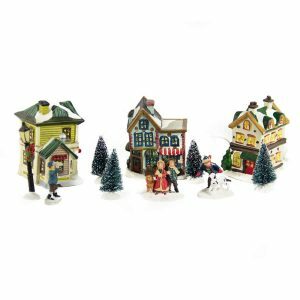 This Carolling Santa Sc Collectible measures approximately 14cm by 15cm and is the perfect accompaniment for your holiday village or other figurine displays. You can almost hear Santa hit the high notes when he gives his merry melody his all. 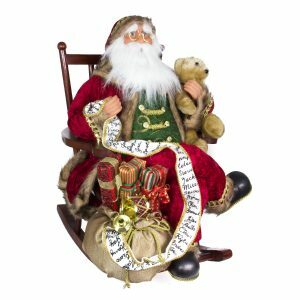 He is charming and durable, which makes it an ornament that you will use year after year. 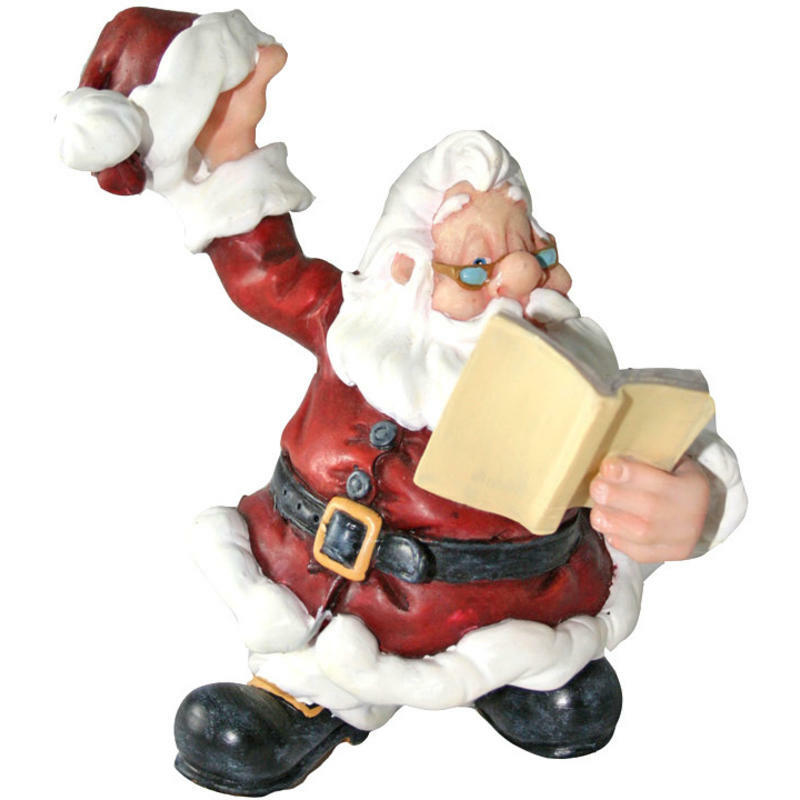 You won’t have to worry about clumsy hands harming or damaging this Christmas figurine; he will hold up to handling and storage well for many Christmases to come. This little fellow is belting out a tune and the details will impress, from his gilded song book to his traditional red suit. Give this singing elf to a friend or co-worker this holiday to bring a bit of warm Christmas spirit to the home, office, or anyplace!